HomeReviewNoragami Anime Review – 5 Yen to Grant Your Wishes	No ratings yet. Noragami Anime Review – If you need some helps, you can take your phone and call a mysterious number you found on the street! The phone number owner may grant your wishes and help you handling some positive and daily tasks such as cleaning the bathroom, take care your baby, or even a weird job to eliminate an evil spirit at your house. Moreover, it charges only 5 yen per one task. What a promising service, right? That’s because a stray God, Yato-gami, is always ready to help you out in anything you need, as long as you have 5 yen in your pocket. Wait… Is stray God really exist? 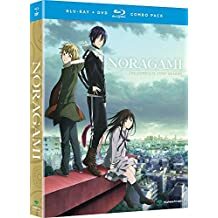 Noragami is a Japanese anime TV series based on the Japanese manga series by Adachitoka of the same name (here is Noragami manga review). So far, the anime has already had 2 seasons which produced by Bones studio and licensed by Funimation in North America. Kotaro Tamura directed for both seasons along with Deko Akao as a writer and Taku Iwasaki handled the music. The first season was aired between January and March 2014, while the second season called “Noragami Aragoto” was aired on October to December 2015. Funimation released both Standard and Limited edition of season 1 and season 2 on Blu-ray/DVD available for purchase on their website. You can find another stuffs on our different page! We have awesome, cool and stylish Noragami merchandise that would be a great item for any Noragami fans! Synopsis: Yato is a minor god whose dream to have a great number of worshipers and praying to him. Sadly, his dream is far from coming true considering he does not even have a single shrine dedicated to him. To make things more painful, the only partner he had to assist him solve people’s problems, had just quit the job. His godly presence and luck just improve when he meets Hiyori Iki and saves her life. A task which also leaves her in quite a condition so she’s stuck with him until her issue gets resolved. Together with Hiyori and his new Shinki (partner-weapon) Yukine, Yato is going to do everything he can to achieve reputation, popularity and one shrine dedicated to him, too. Storyline: Noragami contains various plot lines that all match in attractively with each other both in terms of pacing and execution. It wastes no time in moving the story forward. It even comes with several realistic darker undertones thrown in well. They ensure you fully grasp the weight of loneliness and just how invisible those who are not of the living can be, how hurtful it is to be forgotten and wanting to be remembered. Artwork: In most cases the animation style is typical Bones do, with the art looking approvingly alike to that of the manga. Every single character design is bright and appealing to the eye. Background is also well done and detailed, though I wish they had more battle scenes. Needless to say there are times when the quality might drop here and there. Sound: The music was not bad and some people may know a similar approach and style as to Katanagatari as the composer is Iwasaki Taku. I won’t say that the music is almost as good as his other work in my personal viewpoint but I would say the soundtrack belongs to the show’s better appeals. The music typically occupies a BG-type quality whereas Iwasaki’s work usually takes more of a center stage role in my opinion. The battle scenes do play up music appropriately so I generally enjoy these parts of the music above others. Synopsis: Everyday life for minor god Yato is not getting any better. He is still broke, homeless, and his regalia has zero respect for him. Even worse, Bishamon, one of the deadliest war gods, is after his life. Blaming him for death of her past regalia, she will not give up until she kills him. But there is more to that story than she could ever realize. And as if that is not bad enough, there is person working against her behind the scenes! Storyline: The story of Noragami Aragoto contains the same original premise as the first season but this time is split into 2 major arcs. The first arc is focused on the character of Bishamon, the strongest god of war who has also a deep hatred for Yato as he slaughtered her whole clan once before. The second arc begins by Yato getting a shrine from Hiyori. Yato moves into the Heavenly Neighborhood and is now becomes a proper god, being associates with everyone. Artwork: Noragami and Noragami Aragoto have been animated by the studio “Bones” which is well known for its remarkable artwork in the anime. As you expected of Bones, its art in Noragami is also smooth, vibrant and wonderful. The character designs are one other plus point of Noragami series. The Noragami characters are drawn so perfectly. Their designs are the excellent match for the personality which makes them so much likable. 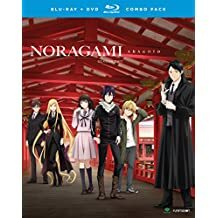 Sound: Noragami Aragoto much like the first season comes with numerous music throughout the series and let me say how much I like it, like most people do. But I truly don’t think it is anything that special. The Seiyuu performed their roles perfectly, in most cases matching with the characters’ personality. Noragami was overall really a great anime which surely maintained me interested throught the whole series with the different factors and mysteries given. Expanding on the various character’s past was a good sight, even though some were irritating, as well as under-developed, which was a downside personally. The artwork was attractive to look at, as well as the soundtrack, it’s very catchy. Are you really into this anime? So, why didn’t try to cosplaying one of Noragami characters? If you need some advice, you can visit our Noragami Cosplay tips on our different page! You must be find some awesome stuffs there!